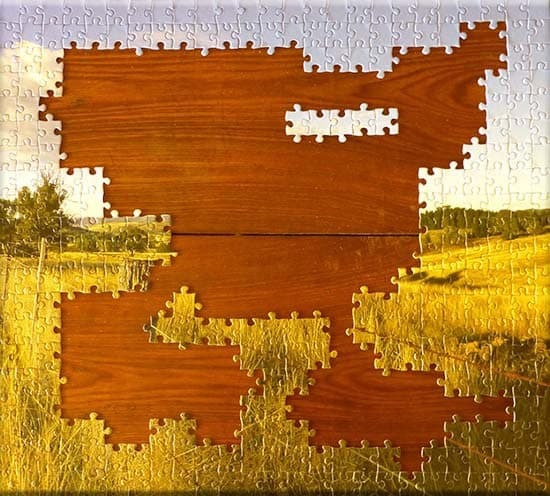 Watch us pull the puzzle apart. And then put it back together again. 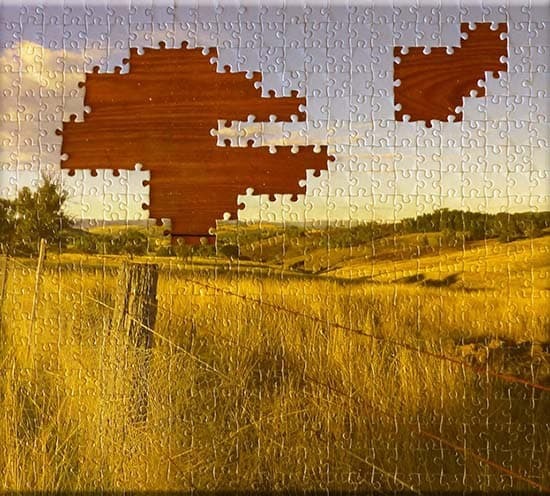 Jigsaw Puzzles By The Paddock Paparazzi. Definitely Made In Australia. 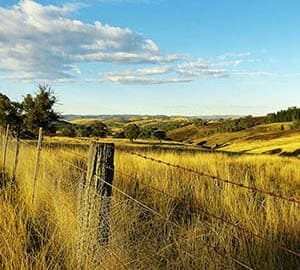 As the Paddock Paparazzi, my 25 year odyssey of living on my remote rural property in the picturesque Central tablelands of NSW, has produced a large portfolio of diverse photographs. Not only scenes of the beautiful hills. But of the wildlife, too. Kangaroos. Birds. Sheep. 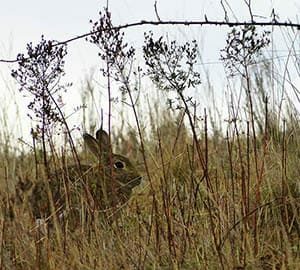 Rabbits. Over the years, I have loved sharing these photos with you. All taken at sunrise. When I walk the property with my camera. Just like a paparazzi. And am always delighted with your response. Many times you’ve asked me what I’m going to do with my photos. You’ve suggested calendars. Books. Placemats. Greeting cards. And many other useful ideas. Hmm, I thought. All good ideas. But static. I kept mulling over how best to get you as involved as I am in my photography. And then, in February, Jennifer, one of my followers on social media, came up with THE idea. You see, Jennifer has grandchildren. And they are fascinated with my photos of the animals that roam the property. AND. They love jigsaw puzzles. So, Jennifer put two and two together. 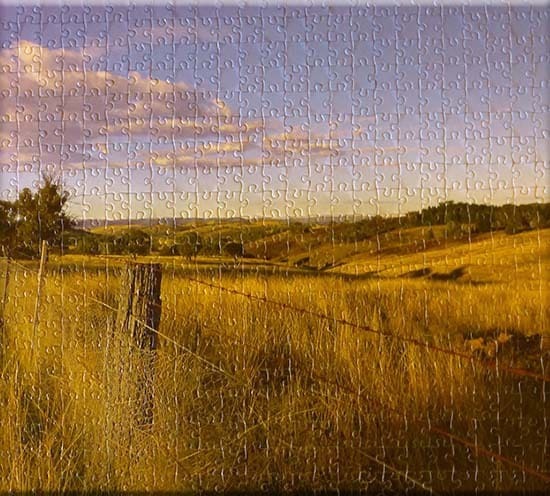 And suggested that I use my photos to make jigsaw puzzles for children. That was the light bulb moment. My photos would be fun. For both children. And adults. So, that’s how this page was born. I’ve selected photos which are rich in detail. Some are simple images for children. And some are more complex for adults. But all of them capture my enchantment with where I live. 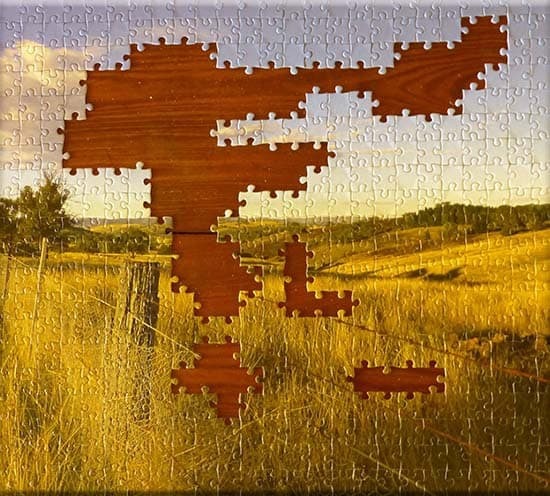 We’ve been very fortunate to find an excellent jigsaw puzzle maker. In Australia. 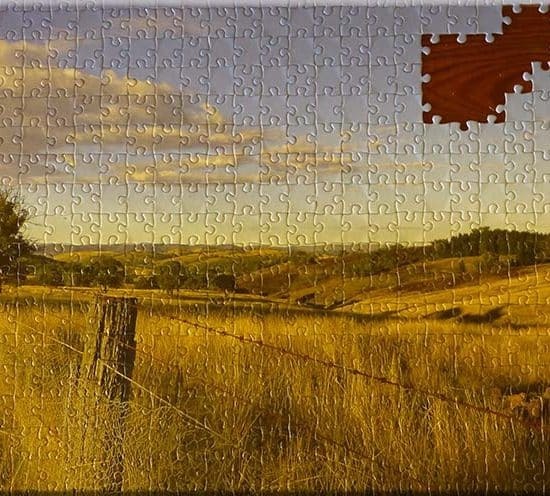 Who has transformed these photographs into superb quality jigsaw puzzles. 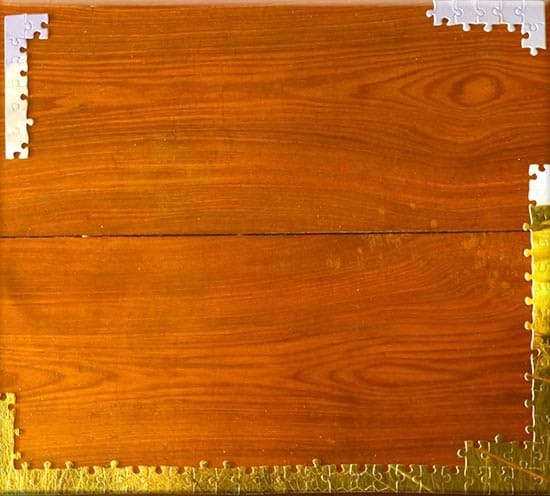 60 Large Pieces. 420mm x 300mm. $41.50. Or 120 Smaller Pieces. 300mm x 210mm (A4 Size). $34.50. Includes Postage & Handling. 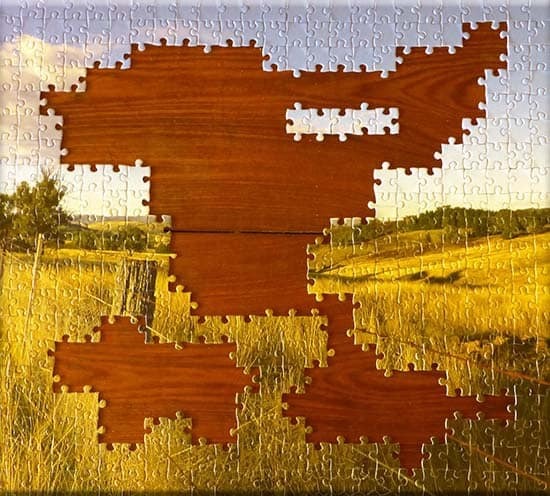 All our puzzles are custom made. To order. When you select your puzzle, we send your order to our puzzle maker. 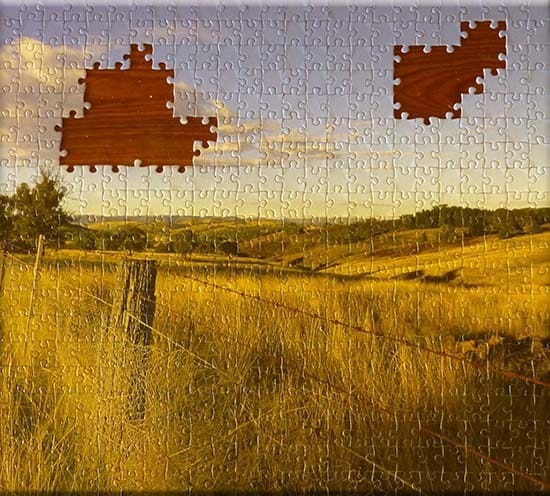 Who will despatch your puzzle direct to you. It doesn’t take long. 7-10 working days. Bang! The sound of a gun is heard in the distant hills. 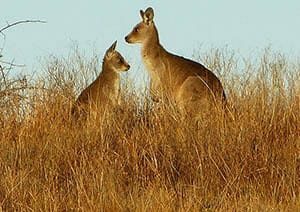 Mama Kangaroo. And her joey. Freeze. Not even an eyeball is moving. I imagine her shaking her finger at her little joey. Cautioning him not to move. Just do as I do! She commands!! Click Here To Order. Scroll To The End Of The Shopping Cart. Australia Only. This is a PayPal shopping cart. You DO NOT need a PayPal account to order. It accepts all major credit cards. It is a very sunny January morning. I take a stroll through the vegetable garden on my way back to the farmhouse from my morning walk. My camera is still hanging around my neck. I hear the buzz of the bees. 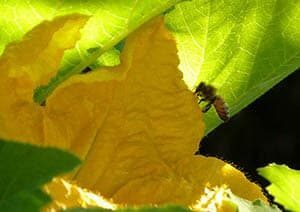 On the flowers of my summer squash. I peer under the big leaves sheltering the flowers. And capture this beautiful. Busy. Bee. Firetails love this property. We have colonies of both the Red Browed Firetail. 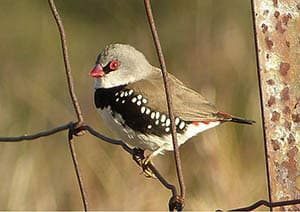 And this beautiful Diamond Firetail. They are very shy. And very quick. It’s a chance in a thousand to capture one in a photo. 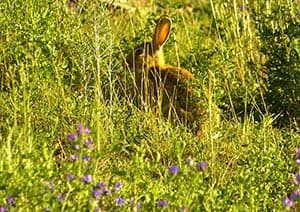 Rabbits were introduced into Australia by the First Fleet in 1788. They were bred as a food source. 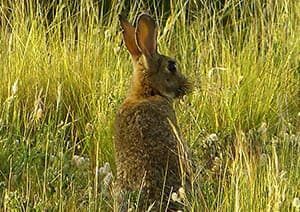 For sporting purposes, 24 rabbits were introduced into Victoria in 1857. And allowed to roam free. And have called Australia home ever since. They often crouch in long grass. Hiding in plain sight. Amidst the blue flowers of Patersons Curse. When we arrived 25 years ago, we had only 5 species of birds on our property. Today we have over 120 species. That we can identify. 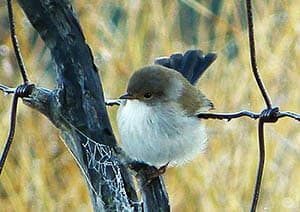 I vividly remember the day we saw our first Superb Fairy-wrens. We. Were. So. Excited. The were hopping and chirping all over the garden. Like little children screeching in the playground. Sometimes when a photograph downloads. It’s full of surprises. Like this one. Mr Rabbit’s mouth is full. Of delicious, lush clover. Such a yummy breakfast. I love his long, battered ears. And his eyes as big as saucers. 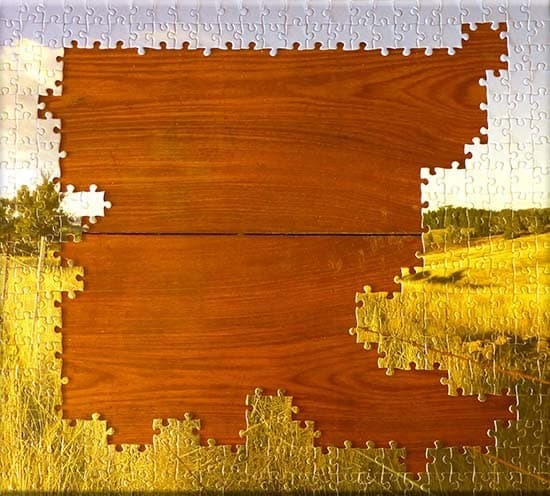 Large Jigsaw Puzzles. 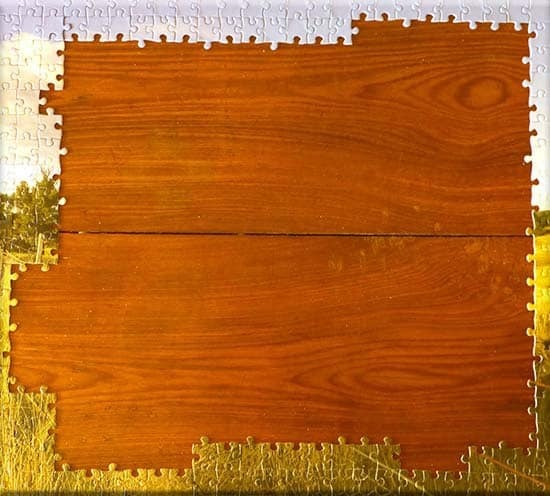 500 Pieces. 500mm x 450mm $53.00. Includes Postage & Handling. My rural patch was settled by squatters in the early 1800’s. This very old fence, which we share with a neighbour, is one of my favourites. It’s been jumped a gazillion times by kangaroos. And the exceptionally shy Eastern Rosellas like to perch here. And have a neighbourly chat with each other. 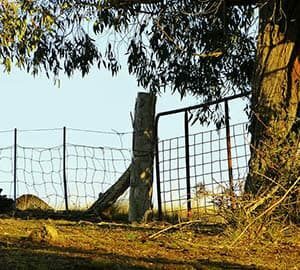 Every morning, when I go for a walk, I pass through this gate to enter the back paddocks. What I see is always a surprise. It could be the sheep we agist from our neighbour. To keep the paddock grass in check. It could be a mob of kangaroos. Which aren’t spooked by me. It could be a spectacular sunrise. Or a Wedge-tailed Eagle in flight. Whatever I see. This is the gateway to my enchantment. It’s a very grey winter’s day. Below 0C. The paddock grass has gone to seed. And the only colour in the paddocks is from the dried stalks. You can tell Mr Rabbit is cold. He’s all puffed up. The colour of his fur blends in with the surrounding grasses. Which makes it easy for him to hide. This is Erigeron. 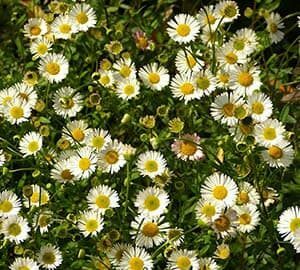 Or commonly called Seaside Daisy. Our 54 hectare property is perched on a dry rock shelf. The soil is poor. Not very deep. And mainly infertile. Erigeron is only one of two plants that self seed prolifically in my hectare of garden. I call it my happy plant. Because every time I see its smiling face, I smile. 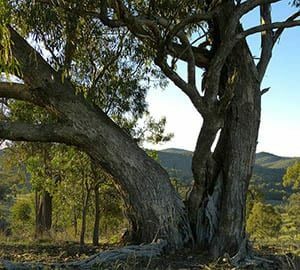 I walk past this ancient Eucalyptus Yellowbox every morning at sunrise. That’s 9,125 passes. One way! I always marvel at the rich colour of its bark. 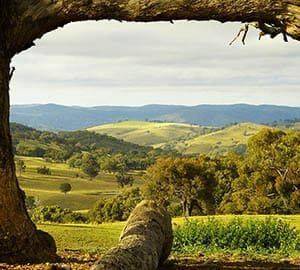 And how I can peek-a-boo to the distant hills. It’s home to many birds. Its lush canopy is especially favoured by the elusive Red Wattlebird. One day I felt compelled to photograph it. And I love the way the camera captures it as a gnarled pillar of strength. The tree I’m standing under is a majestic Eucalyptus Yellowbox. It stands sentinel at the back paddock gate. It’s the highest point on the property. The views are sensational. On a misty morning, I can see the white surf like lather from the clouds of water droplets, settle into the folds of the hills. At daybreak in winter, I can see the first shaft of low light. Spotlighting the apex of a hill. While all around is draped in a shroud of shadows. And on a clear day, it rewards all comers with hills and valleys that are truly breathtaking. 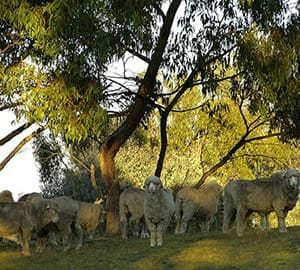 We agist our neighbour’s sheep onto our property. To keep the paddock grass down to a dull roar. It’s a safety precaution in case of a bushfire. For us, it’s all care. And no responsibility. I admit to loving seeing the sheep here. They stay in short spells. And are then taken off. This is ‘Hot Lips’. Because up close, he has the most perfect cupid’s bow lips. He’s always out in front. The first to step forward. And he always has eyes for me. I like my sheep with attitude.